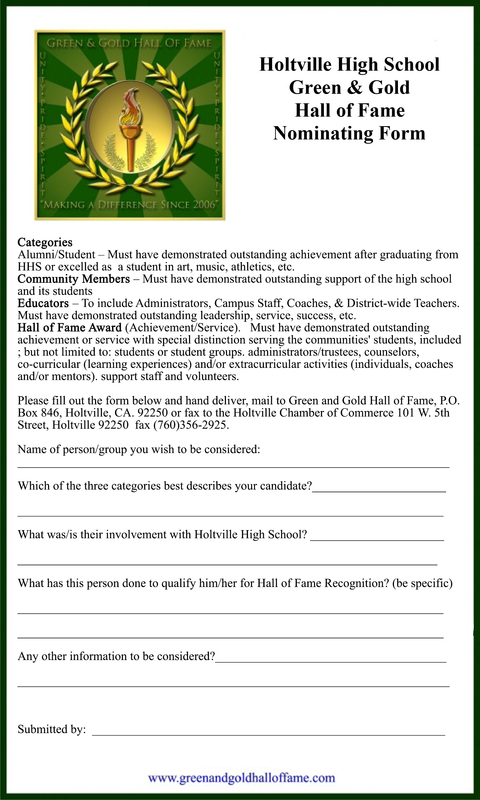 If you haven’t kept up with Holtville’s Green and Gold Hall of Fame these past six years, keep reading this weekly column and you will learn all there is to know about the organization. I plan to highlight the organization’s past and present deeds in the coming weeks and explain its broad objective of promoting the high school’s future academic and athletic excellence. Much has already been done and more is already planned; but it’s become important for the community to note the Hall of Fame’s purpose. 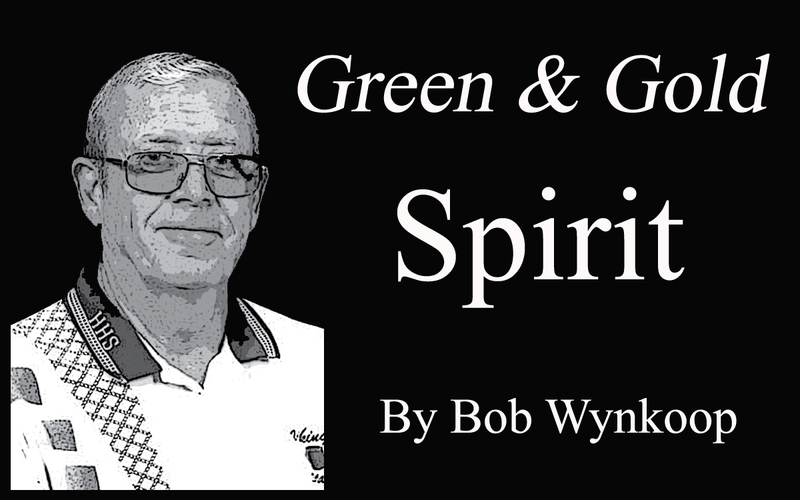 That is why it was decided to create this “Green and Gold Spirit” column. At its annual Hall of Fame Banquet presented each November, the public is invited to come and honor these individuals as a way to express appreciation for this kind of excellence. However, the real purpose in honoring them this way is that we want to inspire current students to intensify their efforts in school activities, as well as to stir community members, teachers and alumni. to all increase their concern and support for excellence at Holtville High School. There is much more that the Green and Gold Hall of Fame and its sponsors have done in the way of scholarships, sports camps, and financial support for constructing the John A. Kirchenbauer Sports Complex and the new Hall of Fame Walk of Honor on the high school campus. However, they and many other future projects are the topics for the coming weeks; and from time to time I will provide some perspectives and discussions of events and news concerning the high school itself. So look for this column every week to keep you informed of the Green and Gold Hall of Fame proceedings. Perhaps you’ll even catch the Green and Gold Spirit.